Vermont is the best state in New England to view antique and classic automobiles. The scenic Vermont countryside and superb lodging and dining accommodations provide the perfect environment for a great car show vacation. Vermont is host to many of America’s most unique Antique Auto and Classic Car and Truck Shows. Why not make it a family vacation? Many car shows benefit charities, so you can help a good cause and have a great time, too. Some of the great Vermont car shows include Annual Antique and Classic Car Show in Manchester, Annual Antique & Classic Car Meet in Stowe. Ask us about VT Car Events or share comments. To feature your businss, contact us. Automobile shows entice collectors and enthusiasts from all walks of life to come together to celebrate one thing, cars. Or at least some form of automobile. Some shows celebrate classic, vintage or current cars. Some debut new models while others are interested only in the best of the past. Automobile shows break the vehicles into classes for judging. They are classed by era or model, such as: the mustang class, the corvette class, pre 50’s, trucks – 2×4 or 4×4, roadsters, muscle cars, antique Fords – and the list goes on. Some shows are specifically geared toward one class while others are more open and are themed only towards a love for movable metal. 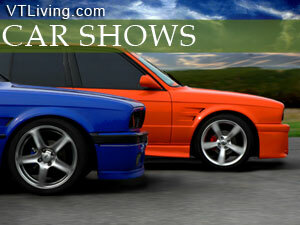 Automobile shows range from highly competitive to gatherings for enthusiasts. Most shows consist of multiple parts. There is the public viewing; this gives any enthusiasts, show participants or not, a chance to enjoy the beauties that are displayed. Many shows have other forms of entertainment such as concerts or dances that accompany the show. And the most important part of the show, at least for the participants, is the judging and awards. Vermont has a great selection of car shows that happen all over the state all season long. The annual R.A.V.E Car Show and Flea Market is always well attended. The two-day event features 27 classes and many awards. It also offers visitors an incredible amount of entertainment. Often a dance is held over the weekend as well as numerous contests, a raffle and a car cruise that takes participants on a scenic tour of the area. A few other well known annual car shows include the Champlain Valley Exposition Car Show, which is the National Street Rod Association’s (NSRA) Nationals, the annual Antiques and Classic Car show in Stowe, and the International Car Show held in Newport. 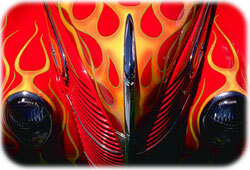 The most popular automobile shows feature classic or vintage cars and trucks. There is something about the lines of shiny bumpers and grills mixed with the smell of car wax and polished leather that makes you think of days gone by. These shows let us go above the thoughts of gas prices and today’s environment to an easier more nostalgic time. A time when a car was as much a piece of artwork as it was a machine. Besides car shows, Vermont has many monthly cruise nights. These events give classic automobile owners an excuse to show off their pride and joy. They also give enthusiasts another way to view these wonderful machines up close and personal. Most cruise nights are put on by automobile clubs that meet all year round but use the summer months to share their passion with the public. Newport holds its cruise nights the first Saturday of every month at Wendy’s Old Fashioned Hamburgers. While Rutland hold theirs at Stewards Family Restaurant. These events feature many types of show cars, great music and often have the option of food. Whatever the theme, automobile shows offer affordable family fun and a great way to reconnect with the past when cars were as much a part of the culture as music and food. Classic music is piped over the grounds lending to the air of nostalgia. Events are alcohol free, held on weekends, and since most are free to the public they are a great way to get out and enjoy a summer day with the family.